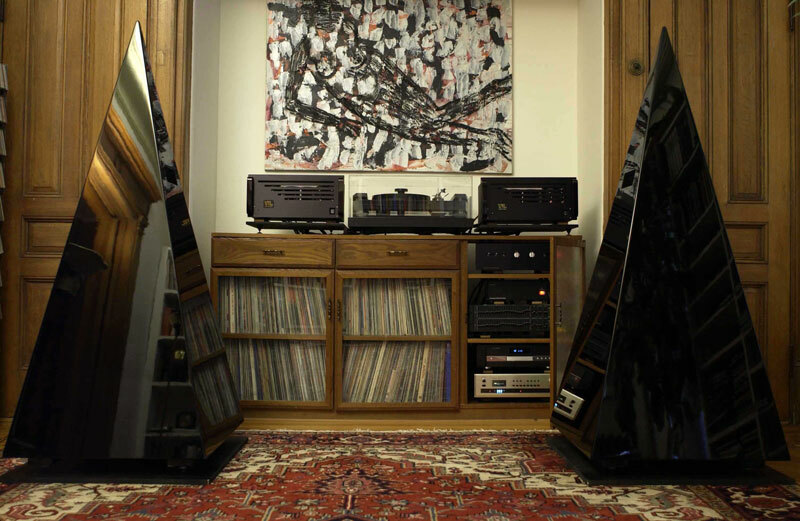 "The NBS Pyramids and other NBS components have enhanced my audio listening experience for the past six years. I have had the honor of experiencing the sound of two other NBS speaker models, the Siren and the One and the Monitor lll. The Siren and The One speaker is finished in a high gloss rosewood veneer. I was impressed with their shape and design. With the help of a neighbor I was able to setup the Siren speakers in three hours. After a four day warm-up period, I was finally grooving (old school) with the units and their dynamic sound. A week or two later Walter Fields, the founder of NBS rang my doorbell to hear my installation and the reaction was WOW! My wife is a piano player, that day she played a Shirley Horn ballad from the CD, ‘You Won’t Forget Me’. The Siren and The One were able to reproduce the live piano sound with a breathtaking accuracy. She continued to play along with the cd in order to check the accuracy of the tone and timbre, and it was a perfect match. I also, invited my audio friends to my home to meet Walter and to hear the speakers. After hours of listening to the purity of the sound everyone in the room requested replays of their favorite cds and albums. A note or two on the Monitor lll’s [M3’s], they are of equal ability to The Siren and The One with few exceptions. The M3’s have 12” woofers vs. The Siren and The One’s 15” woofers and 10” mid-range compression drivers, therefore, The Siren and The One have the ability to produce a much faster sound. With the arrival of the Pyramids I have moved the M3’s from my main system to a second system on the ground floor [a system in progress]. I heard the Pyramid Speakers three years ago in St. Paul, Minnesota, and it was love at first sight. The quality of the produced sound was fantastic; I had to have these speakers. I knew I needed a few stereo component changes, the upgrade of my equalizer, a new turntable arm, cartridge and a new CD-player [most important]. Fast forward to July 10, 2010, all of the upgrades and other components are installed and I now have the perfect balance of pure stereo sound. The Pyramids have changed the way I listen to recorded music. I recently wrote Walter Fields and said, “I hope you do not mind me constantly raving about the Pyramids but they are unbelievable.” I was listening to Andrew Hill's “Homage”, “Blue Black” and “Nefertiti” from the Test of Time Label, and I have listened to those tracks many times on the Monitors 3’s; however, no words can truly capture the speed, depth and dynamics of the Pyramid Speakers. The sound of Andrew Hill’s piano, WOW! The Pyramids can reproduce the timbre of each instrument and the human voice so life like that I am transported into a recording studio. What I truly love about the Pyramid speakers is that they will not mask or add flavor to the system. Beware, the speakers will reveal poorly recorded software but well recorded software is pure audio heaven. My first experience with the NBS Power Conditioner ll was November 2009, when I updated from an earlier model. When I installed the Power Conditioner ll the system became more effortless and three-dimensional. The mid-range and upper frequencies had more air, and the bass was cleaner, tighter and sounded deeper. The addition of the NBS Power Conditioner for the source components accented there qualities. 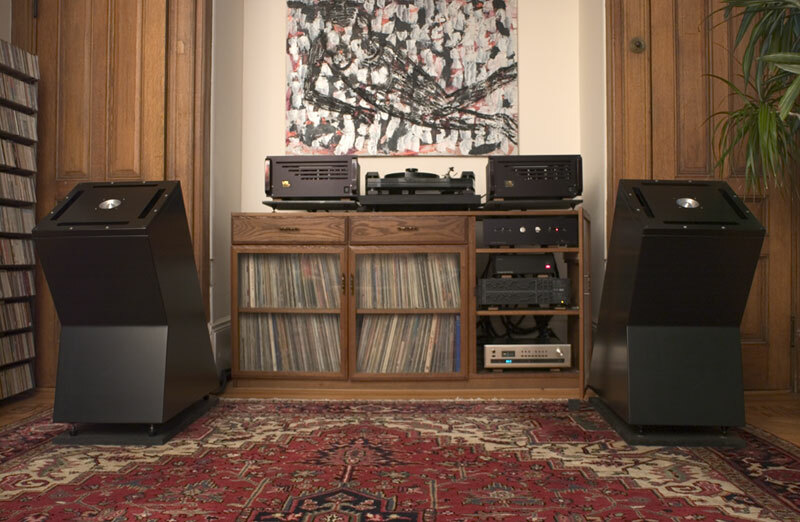 I believe I have completed the dream system; it has taken me many years to assemble the right components, and I want to thank Walter Fields, NBS and all of the audiophiles who have helped me select these components. Once again, thank you. Current system: VTL MB-450 Signature Mono Amplifiers with re-issued Gold Lions KT-88’s, Convergent Audio Technology Signature Pre-amp Mklll with Tung Sol 12AX7 and Electro Harmonix 6922 gold pins tubes, Basis Ovation Turntable w. Vector lll arm, Koetsu Black Cartridge, E-Sound CD-player Statement Mod by ASI-Tek with Neutron Star clock, Rane DEQ 60L 31 band equalizer also modified by ASI-Tek, and NBS Statement Extreme interconnects, power cables, Power Conditioner for all source components and Power Conditioner ll for amplifiers only."